PHH Solicitors are specialist Divorce and Child Care Solicitors and on the Fylde Coast and across Lancashire areas. If your marriage or relationship has broken down and you are concerned about the future care and living arrangements of your children, we can assist you. We are approachable, friendly, local experts and deal with the most sensitive relationship decisions. We are dedicated to protecting the interests and welfare of your children and will aim to find the most amicable resolution. Who the child should live with. How much time the other parent spends with the children. Who has the right to make important decisions about the children (Parental Responsibility). If you are concerned about a child being removed from your care, then we can apply to the Court for an Order preventing them from doing that without having permission from the Court. 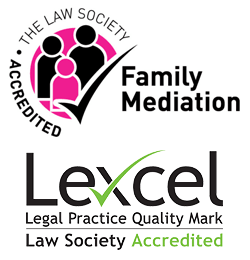 Our firm has an accredited Law Society Children’s Specialist who and can help you understand your rights and obligations. We understand the breakdown of a relationship is a stressful and emotional time for your family. Our Family Law Solicitors will place your children’s needs first and aim to provide professional, practical, cost-effective and outcome for you.